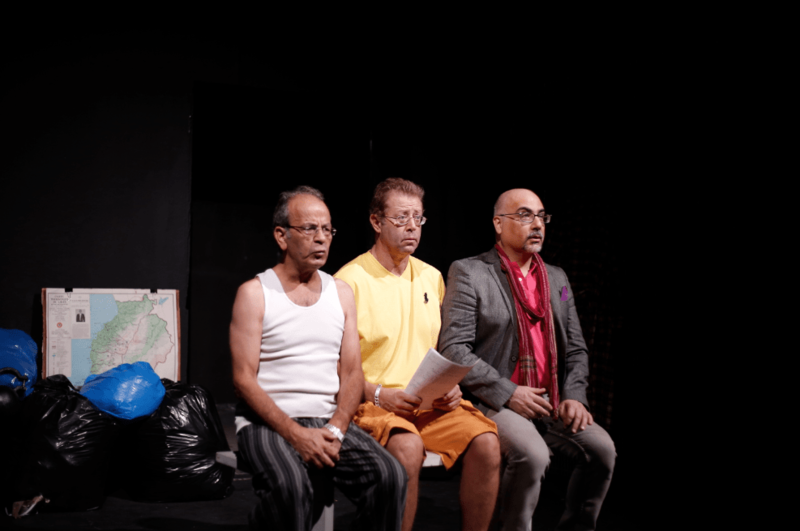 “Masrah Al Jarima” will make you laugh and wonder why you don’t go to the theatre more often. The witty, spot-on comedy (and tragedy) by veteran Lebanese actress and director Betty Taoutel is a poignant look at the theatre scene in Lebanon using caricatures of Lebanese people and their very Lebanese problems (including, but not limited to, trash and electricity). The relatable characters and familiar situations are hilarious, but ultimately tragic. The story follows police in a Lebanese jail conducting a lukewarm investigation into a neighborhood explosion. Original and over-the-top, the characters include the police chief and his stupid assistant and an absurd assortment of suspects: an actor caught kissing his girlfriend in his car; the frightened girlfriend, perpetually fainting; a very opportunistic parking attendant; the neighborhood’s self-important “mokhtara” (mayor); an angry old man; a prostitute posing as a doctor, and others. As the play turns increasingly interactive, the accused find themselves working together with the police to avoid an international crisis. On a much more serious note the production is a look at the history of theatre in the country. 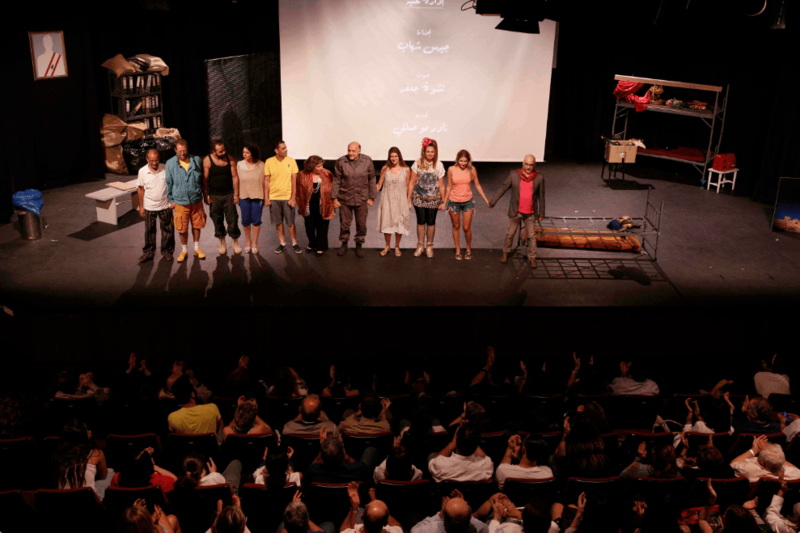 Through one of the characters – a Lebanese-French man returning to Beirut in search of his grandmother, a famous actress during Lebanon’s golden era – the audience learns about the rich theatre culture that Lebanon once had. Over 20 theatres and cine-theatres existed in Beirut during the golden era, but the scene slowly deteriorated during and after the Lebanese Civil War. One of the few survivors – the Monot Theatre – is mentioned heavily in the play and is where “Masrah Al Jarima” is actually held (very meta). Director and writer of the play, Taoutel remembers these theatres from her childhood and even performed in some as a young actress. Their closure and the decline in people’s interest in theatre makes her sad, but she is determined to continue. “Even with everything that’s happened to theatre I’m still putting on a play, and that is a message in itself. It’s a message of pain but also of hope,” she says. 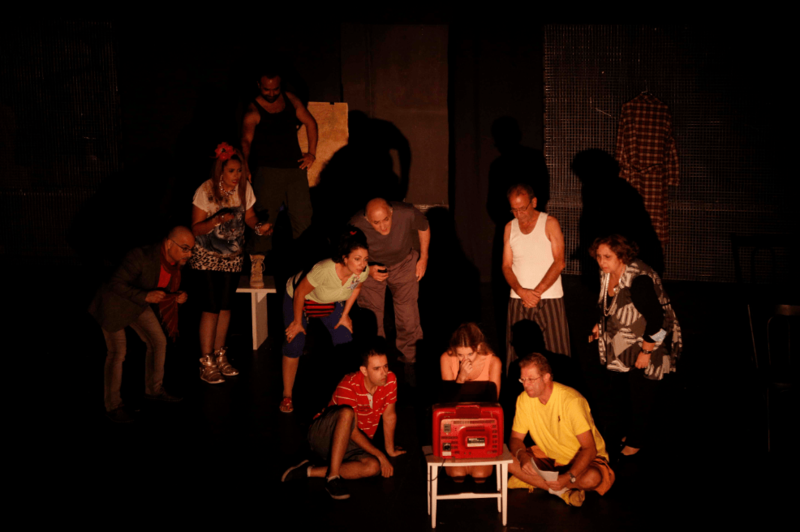 By combining comedy and culture, Taoutel is encourage audiences to visit the theatre. “I’m trying to present something that people can enjoy, comedy about funny situations. It’s funny and light but very deep at the same time. Comedy and culture can go together,” she says. Taoutel’s perseverance is a bigger statement than the just messages in the play. “This is an alternative to going on the streets and protesting. I am putting on a play despite what’s happening in Lebanon. I’m taking a risk because the situation is uncertain and there’s a chance people might not come. This is another kind of revolution – on the stage,” she says. 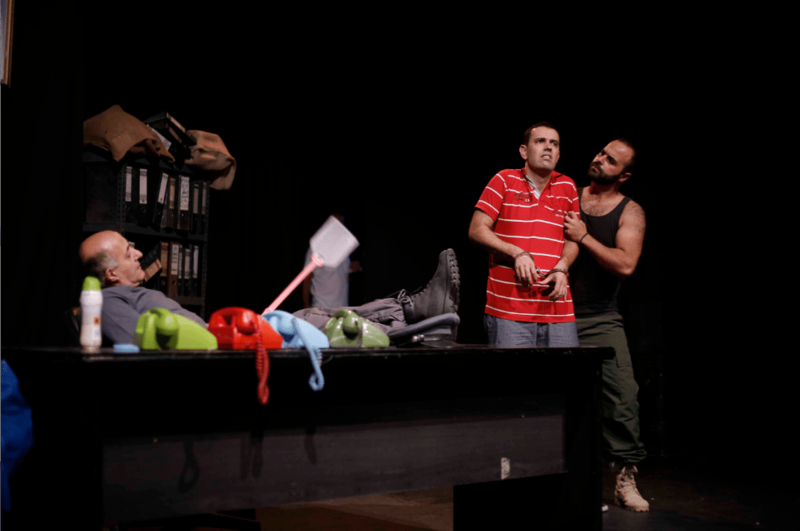 “Masrah Al Jarima” will run until November 15 at the Monot Theatre.